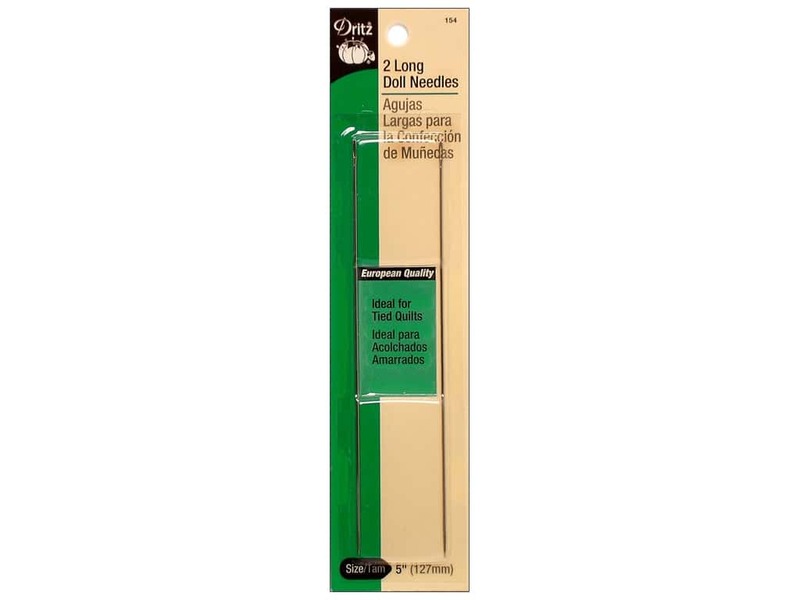 Description: Dritz Long Doll Needles are extra-long needles with long eyes for doll making, soft sculpture, tying quilts and other crafts. 5 inch. 2 pc.